Over a year ago, I reviewed a Windows Phone, and I had positive comments on it. Fast forward to today, after more than 18 months, I re-experienced a Windows Phone, on a Nokia Lumia 925. It’s true that no other major mobile OS is as flexible as Android, so if you truly desire a mobile device without constraints, Android has to be it. But with power comes responsibility, and not all consumers can handle the power of Android. Already, many are lost by its lack of standards across the manufacturers, which certainly causes a minor learning curve even when they use the same Android OS. My dad who is close to 70 years of age, uses an Android phone but does not seem to care about the accumulated notification icons, mostly to inform about app news, software updates or ads. And he often loses track of the icons spread across multi-page home screens. The only reason he chooses an Android phone is because it is a flexible OS rather than because he likes the interface. Without proper housekeeping and appreciation of an advanced mobile computing device, an Android phone can really frustrate the user. Now, if you ask me which mobile OS is the best looking and best designed, I will say it is Windows Phone 8 hands down (iOS is to me the best app-centric mobile OS while Android is the most flexible). Windows Phone OS is beautifully implemented, its look and feel are consistent across various apps – even third party, and it is not as intrusive as Android OS (good and bad for consumers). 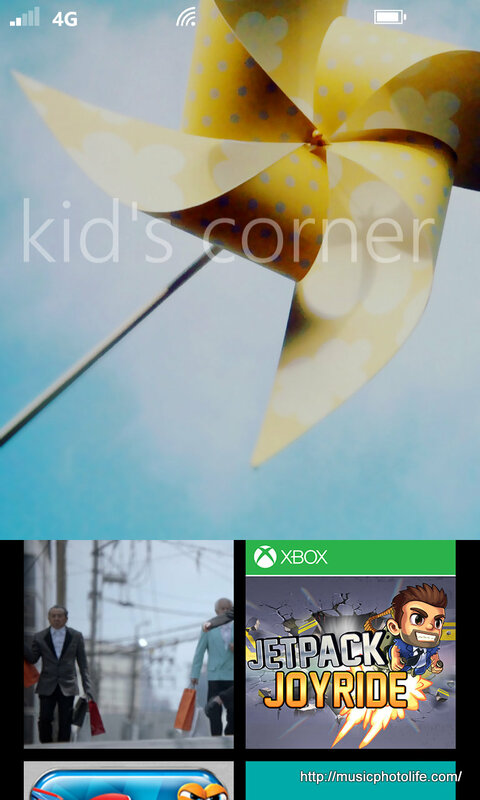 On Windows Phone, you are looking at a single continuous home screen with “icons” or tiles of various sizes. Make them big so that it appears prominently, or small so that you can see more in one screen. Some tiles provide live information, like Music tile showing the current-played song, and the Calendar tile showing the next appointment. The status icons on top are hidden until you swipe down, an attempt to present minimal information without clutter. Unlike Android and later iOS, WP8 is devoid of any consolidated notification panel. That is because notification markers will appear on the respective app tiles. To some, it might not be as user friendly. To others, it places the mobile device as secondary from your real social life. Android has lots of third party apps that offer a single view of your contact’s social information. WP8 has it integrated across the numerous apps, and it does it subtly. For instance, when opening the “People” app, there are “Groups” where you can browse your contacts by the groups you define. There is “What’s New” where it downloads the social statuses of your contacts. In the “Photos” app, you can browse by people, where you can conveniently view the selected contact’s photos across his or her social network. Here, the “What’s New” downloads the feeds of your contacts’ latest images. I have dedicated a blog post to talk about the Nokia Lumia 925 camera, but in summary, it is one of the better phone cameras I have reviewed. Images contain more details without over-exposed, sufficient depth of field, and camera apps that let you edit and re-edit your images. Install the free Nokia Pro Camera app, offering pro-level exposure adjustments (focal length, EV, Aperture, Shutter, etc.) conveniently using on-screen sliders. Don’t be fooled by the image preview’s white balance: I do find the Lumia 925’s screen over-saturated and too warm, so a simple colour profile calibration (available under settings) will get things right. 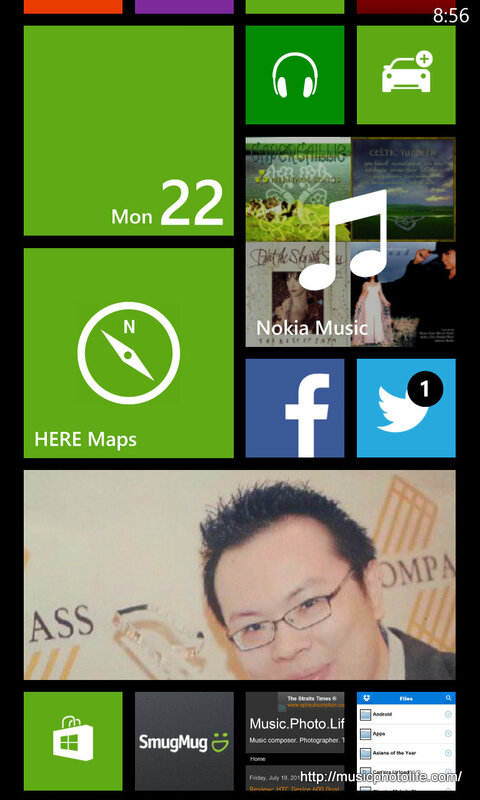 It is easy to transfer your content to and from WP8. Just plug to your computer and make the transfer. There is no file manager app in the phone for you to move your files around. You need to manage the files in the respective apps. For instance, manage photos using photo apps, music using music apps. While it may sound restrictive, this is a more user-friendly approach for consumers with no knowledge about folder management. I like the Nokia Music app that aggregates my local-stored tracks as well as online music sources. After you provide your favourite artists, the app will pick the songs that you might like as your random playlist. While the song is played, you can read more about the artist, links to image gallery, social networks. This apps conveniently expands my song vocabulary. When your kids want to play your phone, swipe to the right from the lock screen and let them have it. You can define a fixed set of apps or files that they can access. This feature is beginning to appear in many smart devices in the form of third party apps. With Nokia HERE Maps, you can download maps offline and use it even when overseas. Includes turn-by-turn voice navigation for vehicle users. Definitely a money-saver. Your game scores are stored in Xbox, so you can play the same games across your Windows platforms and still keep tabs. Similar to iTunes Game Center. Some games are also available for trial before you buy. Even when the background task is turned on, the tasks do not run real time in the background. Unlike Android when the apps download and update the feeds, the WP8 apps only refresh when you open the app. For most apps, there is also no option to set the frequency of updates. 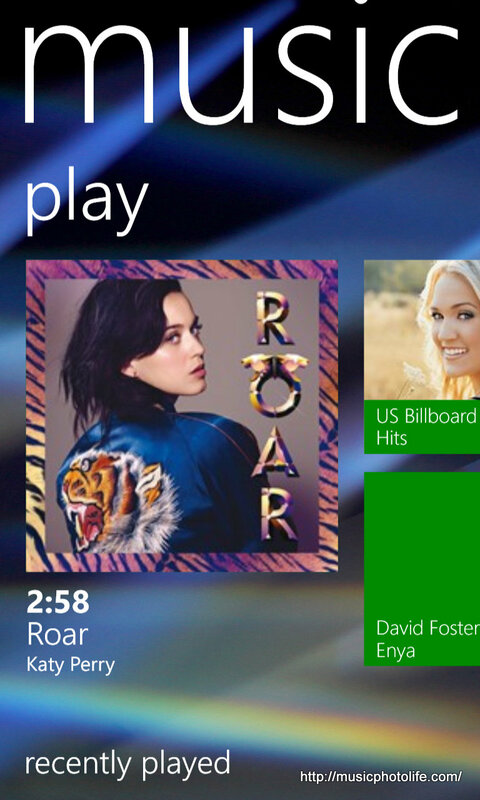 There is no doubt the Windows Phone interface is seamlessly gorgeous. If only the OS has more apps to drive the capabilities up. As much as I love the phone, I am somewhat crippled with what I want to do compared to the other mobile platforms. There is something about the Windows Phone or the Nokia Lumia that makes me want to like the phone and use it: the beautiful modern interface, the consistent look-and-feel across all the apps, the convenient camera button that starts the camera instantly even when the phone is locked, the image quality the camera delivers, the integrated social sharing features that are comprehensive enough for most consumers. Most importantly, a Lumia user stands out among the sea of iPhones and Galaxys. The Lumia 925’s minor drawback turns out to be its size. I do like the form factor – broad and short – which fits on my hand nicely, but because it is not as big as some of the Android phones, it takes skill to hold the phone without pressing any buttons or blocking the camera lens. Since the hardware buttons are prominently protruded and lined up at one side, my fingers have only a small area to rest. And if I were to rest on any buttons, I must remember not to exert pressure or else I would end up activating them. I do find myself half-pressing the camera button while trying to compose my images (which locks the image AF), and I would wonder why I was unable to tap-and-focus on screen. My finger often gets in the way of the rear camera because the camera is positioned lower than most camera phones, which means I have to hold the phone lower. It does not help that the Lumia 925’s aluminium frame does not grip well with human hands, so I do feel really insecure handling the Lumia 925 and highly recommend a case protector in order to provide handling confidence. Windows Phone might not be a match against the other mobile OSes in terms of functional variety, but it comes across as a device that keeps you connected with your contacts, whenever you want. A Windows Phone like Lumia 925 readily provides your communication needs without overwhelming information and notifications, so that you can devote your time connecting people – real people. 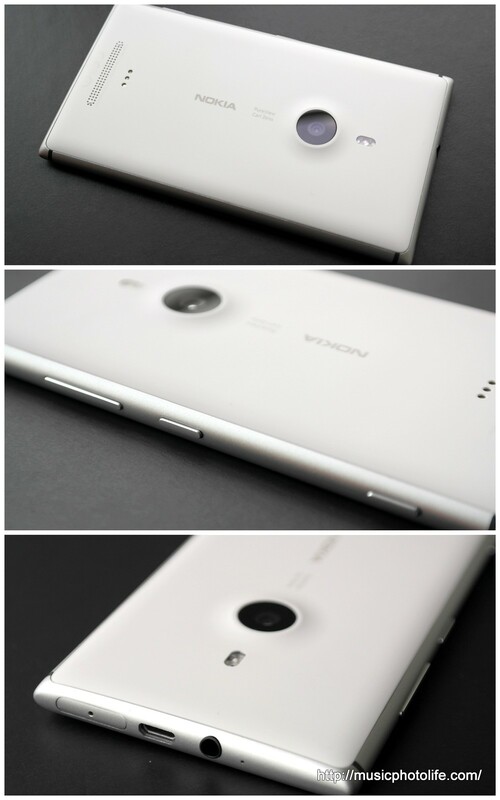 The Nokia Lumia 925 retails for S$799 in Singapore.